The next round of the Bloggers Recipe Roundup starts on Monday! There are some yummy recipes so get ready. 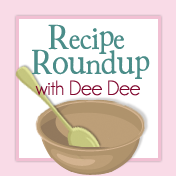 If you want to be included in the next Recipe Roundup send me an email. I will wait for the next recipe round up.Awesome blog.